A spike in oil prices as a result of a temporary halt in shipments through the strategic Bab el Mandeb strait may be short-lived, but the impact on Yemen’s three-year-old forgotten war is likely to put the devastating conflict on the front burner. 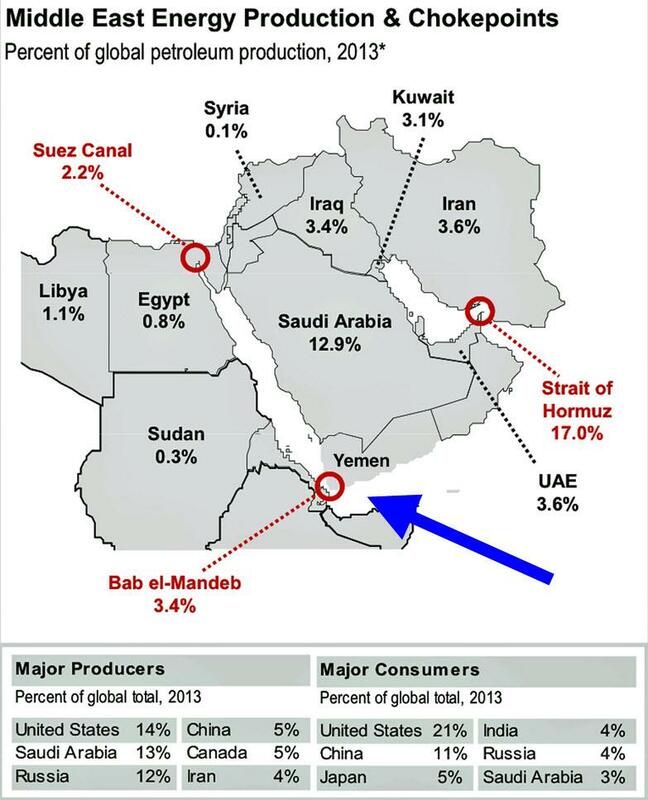 The halt following a Saudi assertion that Iran-backed Houthi rebels in Yemen had attacked two Saudi oil tankers traversing the waterway drives home the threat the conflict poses to a chokepoint in international trade and the flow of Gulf oil to world markets. The Houthis said they had attacked a Saudi warship rather than oil tankers. The halt of oil shipments could provoke an escalation of the conflict with external powers intervening in a bid to assist Saudi Arabia and the UAE in defeating the Houthis and dealing a blow to Iran’s regional presence. By the same token, the halt potentially offers Saudi Arabia and the United Arab Emirates an opportunity to focus international attention on resolving a civil war aggravated and turned into a regional conflict by the two Gulf states’ military intervention in March 2015. Rather than proving to be a swift campaign that would have subdued the Houthis, the intervention has turned into a quagmire and a public relations fiasco for Saudi Arabia and the UAE. International criticism of their conduct of the war is mounting as a result of its devastating human cost. Voices in the US Congress, the British parliament and other Western legislatures as well as human rights groups calling for a halt of arms sales to Saudi Arabia are growing ever louder. The armed services panels in the US House and Senate released earlier this week joint defense legislation that demands that the Pentagon tell Congress whether US or Arab coalition forces violated federal law or Pentagon policy. Another provision restricts mid-air US refuelling of coalition aircraft if the UAE and Saudi Arabia fail to demonstrate efforts to support United Nations-backed peace talks, resolve the growing humanitarian crisis, and cut down on civilian deaths. The war has killed at least 10,000 Yemenis and left more than 22 million people –three-quarters of Yemen’s population – in need of humanitarian aid. At least 8 million Yemenis are on the brink of famine, and 1 million are infected with cholera. In a most immediate response to the halt, the United States and Britain, eager to benefit from increased arms sales, are likely to step up their support of the Saudi-UAE effort in the Yemen war. Viewed from Washington as well as Riyadh, the war is one more front in US efforts to force Iran to halt its support of Middle Eastern proxies. Since the war began, the US and the UK have sold more than $12bn worth of weapons to Saudi Arabia alone - including some of the warplanes and the payloads they drop. The US military, moreover, provides mid-air refuelling for Saudi and UAE aircraft, and both British and US personnel assist the Saudis as they target their strikes. The US, Britain and other powers could look at expanding operations of an anti-piracy alliance in the region created in 2008 in response to Somali piracy. The alliance includes warships patrolling regional waters from all five United Nations Security Council permanent members – the United States, China, Russia, Britain and France – as well as other European and Latin American nations, Australia, Japan, Pakistan, Singapore, Turkey, Saudi Arabia and Thailand. The potential for a breakthrough in peace efforts increases when the halt to oil shipments is coupled with a Saudi-UAE threat to besiege the strategic port of Hodeida that could jeopardize the crucial for the flow of humanitarian supplies potentially creates an opportunity for more forceful efforts to bring the Yemen war to an end. In a letter to US congressional leaders, UAE ambassador to the United States Yousef al-Otaiba said in June that the Saudi-led Arab force fighting in Yemen is giving the Iran-backed Houthi rebels “the greatest possible opportunity” for a peaceful withdrawal from Hodeida. UN envoy Martin Griffiths last week put forward a proposal that would avert a fight for Hodeida that has yet to be accepted by all parties. The plan reportedly calls for a phased Houthi withdrawal from Hodeida and two other nearby ports, a gradual pullback of UAE forces, UN assistance in staffing the port with Yemenis who would also govern the city of 60,000, and the revival of stalled peace talks. The possibility of the halt to oil shipments propelling efforts to end the war is enhanced by the fact that the Saudi move has ramifications that go beyond energy security. The Middle East’s multiple conflicts, including the Saudi-Iranian rivalry and the dispute between Qatar and a Saudi-UAE-led alliance that has imposed a 14-month old diplomatic and economic boycott of the Gulf state has spilled across the Horn of Africa with the UAE, Saudi Arabia, Qatar, Turkey and China competing for influence by gaining control of ports and establishing military bases. The UAE’s strong military and commercial presence in the region is one reason why Chinese President Xi Jinping recent stopped in the Emirates for three days on his way to a tour of Africa. China likely would favour capitalizing on the Saudi halt to propel peace efforts while the Trump administration more probably will lean towards military intervention that confronts Iran.